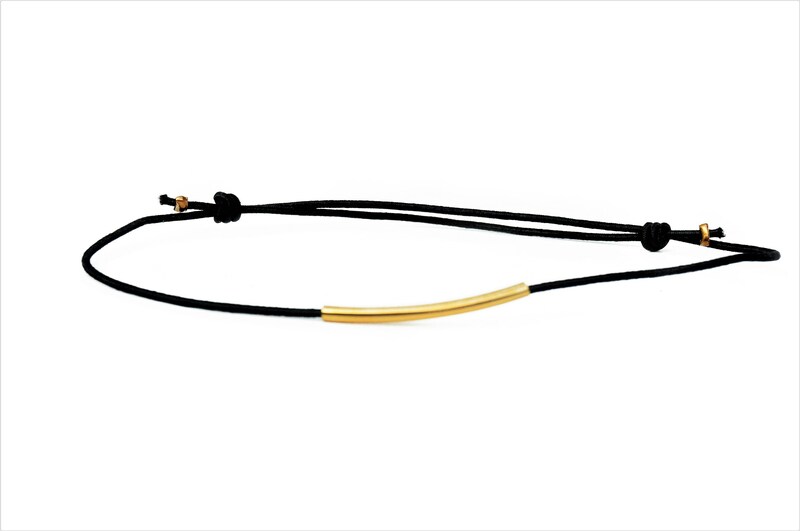 Delicate ribbon of jewellery with golden tube bead, approx. 3 cm long. 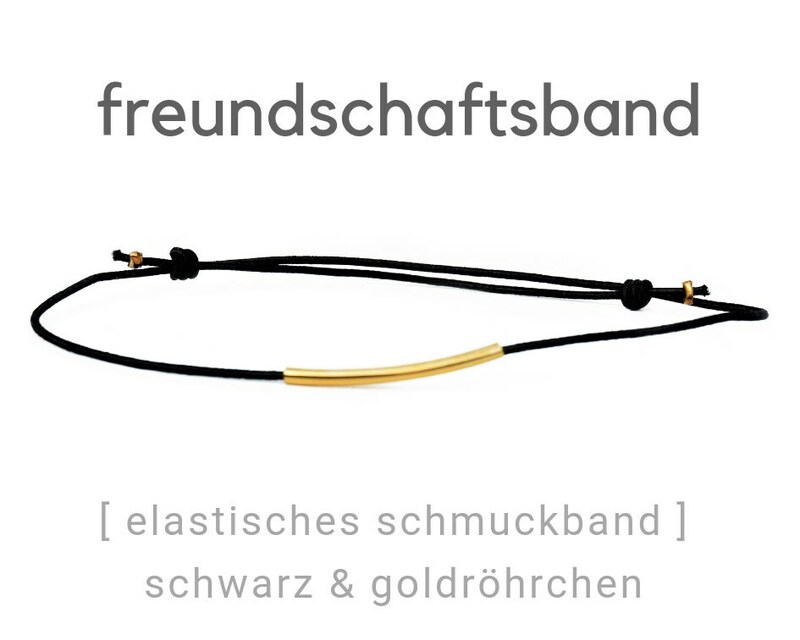 The friendship band is made of 1 mm thick elastic black rubber Band, the length is adjusted by means of the two sliding knots only once, then, thanks to the elastic effect, it can be easily over the wrist strip. The advantage: The elastic bands are much easier to put on than those with the Macrameeknoten!